The long awaited Magneto 2.0 is finally out in the market. Online merchants, Magento community members, and developers tout it as the next generation platform across the world. There are ample numbers of Magento developers who have already started offering Magento development services to leverage the power of the November released Magento 2. If you are foraying into the world of e-commerce and need a website, it is time to know first about the new features of Magento that are making it all the more attractive. Therefore, here are the top 10 features of Magento 2. Shopping cart abandonment is common when a buyer finds it complicated to buy a desired product or products. The new feature eliminates this persistent problem altogether with reducing the steps of checkout from five to just two i.e. Shipping and Review & Payment. In addition, there is no obligation for a buyer to create an account, he or she can checkout as a guest without facing any inconvenience. There is also a thumbnail image of the order summary featuring at the right side of the checkout page. The best part of this re-designed checkout is an automatic identification of card type based on the credit card numbers that further simplify the whole process. Magento 2 offers excellent compatibility with Varnish 4, a fast caching reverse-proxy and with HHVM 3.6 (Hip Hop Virtual Machine). The later initiated by Facebook is to ensure faster load pages and compilation of PHP code within a blink, which means faster run page for any e-store powered by Magento 2.0. In an era where even a delay of few seconds can put off a potential buyer, this compatibility feature is worthy of applause. The new user interface in Magento 2.0 is a breeze for online merchants with its many endearing features like keyword search, expanding filters, custom views, and configurable columns. What’s more, there is a reordering column, which is drag and drop to offer more operational efficiency to a Magento 2.0 e-store. The new admin UI is also aesthetically pleasing with less clutter and a flat design. If you are worried about performance, just go for Magento 2.0. The Enterprise Edition ensure faster page load up to 56% due to several enhancements like support for MySQL Cluster and multiple slave databases, reduced file size, etc. Magento 2 comes with a testing suite comprising of tests in a PHP framework to ensure code quality, and reduction in time for the Quality Assurance process. This feature is indeed a boon for Magento developers and testing professionals. Test automation is absolutely essential for staying productive at website testing. Earlier with Magento 1.0, configuring a product was a time-consuming process. However, creating product configurations is just a cakewalk in Magento 2.0. There are now four steps i.e. select attributes, attribute values, bulk images and price, and finally the summary. A single click on the generate button on the admin panel generates product and feature it in your product list. Isn’t it simple to execute? Magento 2.0 unlike its predecessors handles an expanded data set and has a rather simplified approach for faster product import. However, this feature is only limited to the import of simple products if attributes are more like size, color, material, etc. ; it is complicated. Magento 2.0 feature drag and drop tools to have an easy access to order data. For online merchants like you, this means less effort and time saving. This is a good sign of usability improvement for magento users. Gone are the days when e-commerce websites were accessible via desktops only. The 21st century is an era of mobility with your customers having an easy access to mobile devices. Web design experts and successful entrepreneurs agree that responsive websites are essential for success of ecommerce business. The responsive design features of Magento 2.0 ensure you that your e-store will be easy to reach by millions via tablets and smartphones anywhere anytime. Therefore, now that you are familiar with the top 10 new features of Magento 2, it is time to reap the benefits to boost your online business. 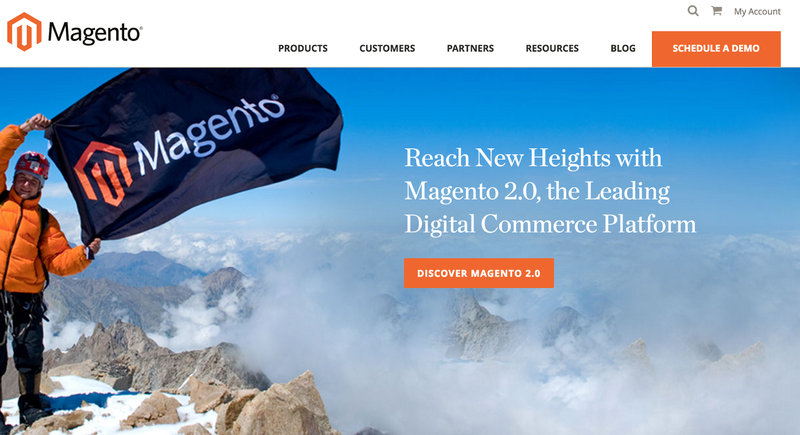 Contact a reputed Magneto Development Company soon and power your e-store with Magento 2.0. The author Chirag Rawal is an expert in Magento Development and possesses a wide skill set for developing and designing ecommerce websites for an international clientele.